When I retired from teaching, I was sure my working life was over. I really had no idea what I would do with myself, but was I ever wrong! For some reason everyone I knew in the village of Snowflake wanted me to run for Mayor! Can you believe that? “Me? Mayor?” I asked. “Yes,” they all said. “You’d be the best Mayor Snowflake ever had. So, here I am. Working harder than ever, fighting with the town council most of the time, and tearing out my (white) hair over budget issues. But on the plus side, every day is exciting and particularly so since Lucky Jamieson returned to town and took over the By the Spoonful Soup Shop. You see, I never married or had children and Lucky is the daughter of my two dearest friends – Louis and Martha Jamieson. Since their deaths, I think of Lucky more and more as the daughter I never had. I feel very close to her and try to help her out with things as best I can or whenever she needs my good advice. I guess you could call me an old maid, but if so, I’m a very busy and active one. At an age when so many women are considered “over the hill” or discounted in some fashion, I’ve never felt so vital and so needed. Yes, I know what you’re thinking. And you’re right. 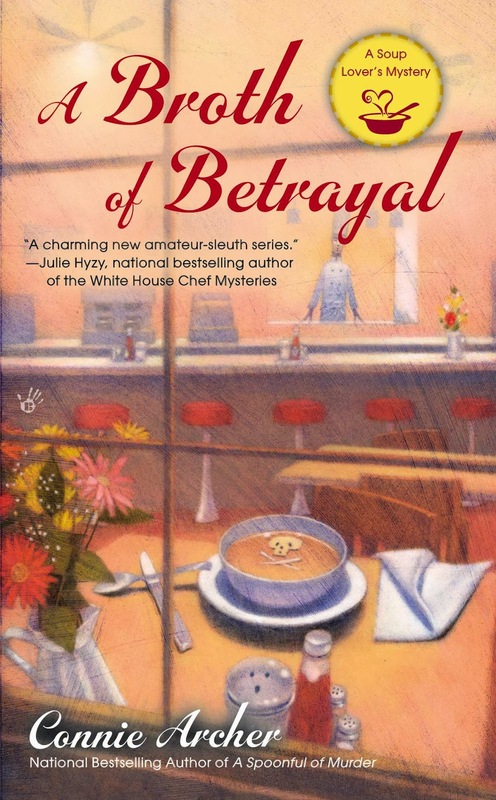 It was very hard on me when I was an integral part of A Broth of Betrayal, but everything turned out all right in the end and that’s certainly not the end of my story. I’m lucky enough to be a very important resident of Snowflake and since I’m so close to Lucky and she just seems to attract murders and mysteries, I’m pretty sure I’ll be around in every story. What do you think? Should I have given up and stayed home after I retired from teaching? Lots of people in town don’t agree with my decisions but I don’t think older women are irrelevant. I certainly hope not. I want to be in on the action for as long as I can stick around. Oh Elizabeth, I for one am so happy you are not spending your retirement knitting and sipping tea. You are a very important and needed character in this series. I loved the first book and was so glad you made it through ok. Lucky needs you. Lucky relied on your help in the second book. She couldn't have solved the murder without you. So please stay put, don't retire yet. Snowflake, Lucky and we readers need you. Dear Annette, thank you so much for your very kind words! Yes, I did go through a terrible time in A Broth of Betrayal but I survived, thanks to Lucky! 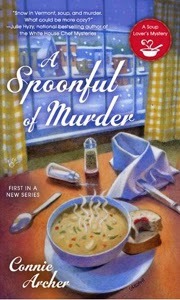 I'm reading A SPOONFUL OF MURDER now and love it! I look forward to reading more in this series. 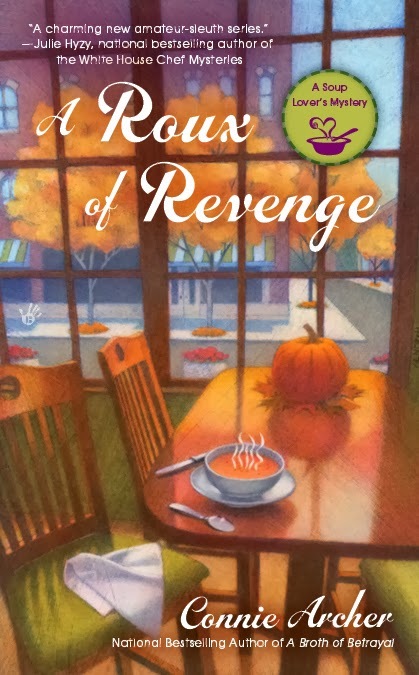 Hi Lisa ~ I'm so happy to hear you're enjoying Spoonful! 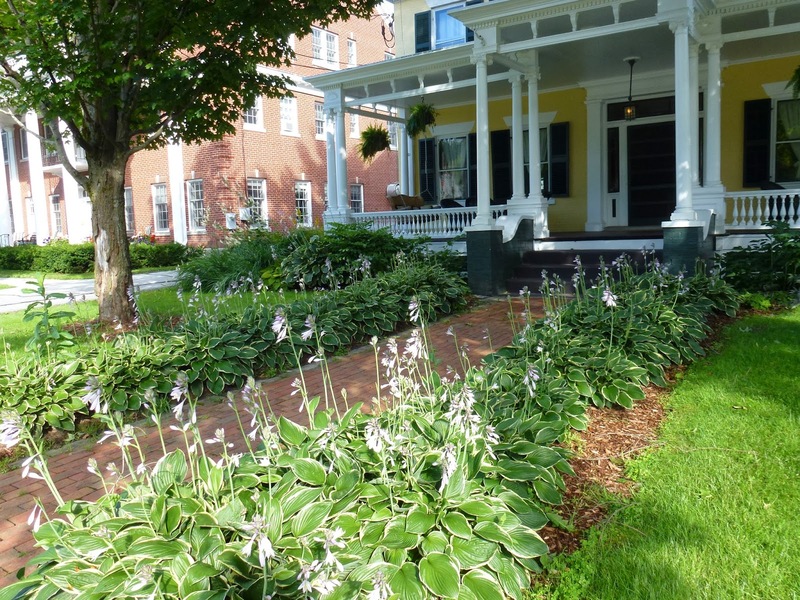 Welcome to Snowflake, Vermont! Hi MJ - Elizabeth's in style! Thanks for stopping by! 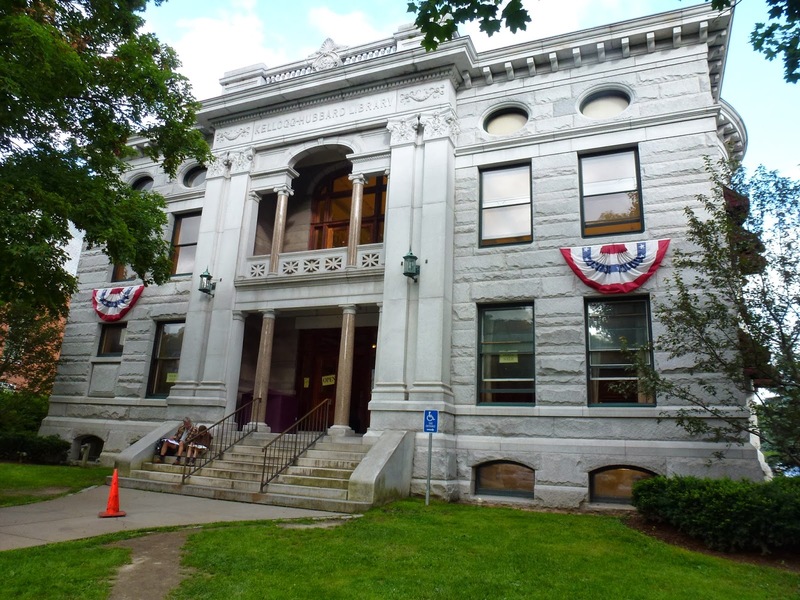 Mayor Dove should become the NEXT Vermonter to go to the White House! She might want to talk to Senator Sanders about that. Thanks for stopping by!